Download our Verdicts and Settlements pamphlet. Inayah Davis, a 22-year-old teacher from Nyack, has won a $775,000 suit against Bardonia podiatrist Ira Bernstein, for a bunion operation she had as a teenager that left her in pain and unable to stand for long periods. Steven H. Beldock settled this Kings County case shortly before trial. It involved a cardiologist’s failure to diagnose a rare cardiac condition known as Brugada Syndrome, resulting in heart failure and anoxic brain injury in a 52-year old man. Steven H. Beldock expertly handled this Federal Court case, involving a senior citizen who fell on a poorly lit escalator at a casino in Atlantic City. As a result, this individual suffered a fractured knee and required a knee replacement. Steven H. Beldock settled this case in Rochester, New York as it was pending on the trial calendar in the Supreme Court of Monroe County. It involved an abnormally low platelet count after childbirth in a patient who had experienced preeclampsia before giving birth. The condition persisted post-birth, and brought on a condition called HELLP syndrome. This case involved a 47-year-old security guard who suffered a fall due to a sidewalk defect. He endured a bimalleolar fracture. Steven H. Beldock tried this case to a verdict in Kings County. A 31-year-old pharmacist slipped and fell on ice, resulting in a shoulder dislocation that required surgery. This individual also suffered from complex regional pain syndrome. Steven H. Beldock settled the case after 1 ½ weeks at the damage trial following a liability verdict. Leonard J. Birbrower represented a mother and her newborn baby in this case involving a birth trauma, which resulted in cerebral palsy. He settled the case at jury selection with an immediate lump sum payment to the family, as well as monthly life annuity payments that project a total of $5,736,000. The doctors, hospital, and client were all from Rockland County. Steven H. Beldock settled this case in Federal Court on behalf of a pedestrian who was struck by a wheel that came off of a tour bus as a result of inadequate maintenance. A gas grill exploded causing a Rockland County woman to suffer severe burns, which required multiple skin grafts. A close inspection of the grill showed that a faulty design was the cause. Leonard J. Birbrower successfully obtained this settlement. This case involved malpractice on the part of an anesthesiologist, which caused the death of a 42-year-old woman during a C-section in Kings County. William P. Weininger obtained this pre-trial settlement. William P. Weininger obtained this verdict for a Kings County patient who dealt with unnecessary surgical removal of a portion of non-cancerous lung tissue. Steven H. Beldock and Jeffrey B. Saunders settled this case shortly before trial in Orange County. The client suffered multiple fractures when a garbage truck crossed the double yellow line on a roadway. with your office and your own personal touch. It was always easy talking with you. Best to you always. this painful episode to a satisfactory conclusion. of meeting. You are definitely a fighter in the courtroom. John and I want to thank you for all that you have done for us and just want to tell you how we appreciate everything you have done. "If you or a loved one has been hurt, tell us Right Now!" Courtroom and at the negotiating table. I would recommend him highly with total confidence in his abilities and integrity. 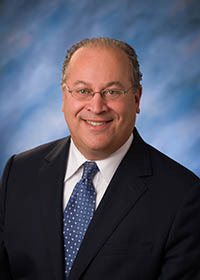 Steve Beldock is a skilled, strong, and experienced litigator. He is thoroughly prepared and has command and comfort in the Courtroom. look to him for advice and counsel. An accident victim is in good hands with this acclaimed advocate. Work Related injuries strike at the worst possible time. But are you getting the most from your employer? Let us help you make sure you are! when you are faced with a life changing event. We are New York’s Top Injury Attorneys and we can Help! Were you the victim of a dangerous dog attack? Aggressive Dog owners must be held accountable! Birbrower & Beldock, P.C. is widely regarded as the premiere Rockland County personal injury attorney (s) and medical malpractice firm serving New York’s Hudson Valley. Using knowledge, tenacity, and a careful attention to detail, our attorneys have earned results that set us apart from any other firm in the area. This is why clients from all over Rockland County, the Hudson Valley and Westchester immediately contact our group when they’re in need of strong legal representation. In addition to our office in New City, NY we have offices in Tarrytown, NY to serve Westchester Residents and in Goshen, NY to serve Orange County, NY individuals in need of our expert legal help. When you’re dealing with a car accident, a delayed diagnosis of cancer, a construction accident, nursing home abuse, or other types of personal injury or medical malpractice cases, the attorney you choose can truly make or break the outcome of your situation. When we’re retained, we do a highly detailed investigation and ensure that every aspect of your case is covered. We frequently fly in experts from all over the country to obtain the information necessary to try your case at the highest level. We act as your partner throughout the entire process in order to keep communication clear. With over 100 years of combined experience in the field, our team has the background, knowledge, and reputation to obtain the best possible results for you and your loved ones. We remain fully committed to excellence with each and every client we serve. If you find yourself in a situation where you simply can’t afford to lose, contact us today for a free consultation by calling 845-267-4878 or by clicking HERE. We are Birbrower and Beldock – An established and extremely successful Hudson Valley Personal Injury Firm Serving New City, White Plains, & Goshen. We provide personalized legal services to victims of car accidents, medical malpractice and more! Birbrower & Beldock, P.C. focuses on providing personal injury victims with the highest level of legal services. Our firm comprises five experienced and highly qualified attorneys who have helped countless clients in New York rebuild their lives. If you or a loved one sustained injuries in New City, Suffern, White Plains and Goshen or anywhere in Rockland County, New York City or Long Island, you may have the right to file a lawsuit to obtain just compensation. However, without the assistance of a skilled lawyer, your claim is likely to be unsuccessful. Birbrower & Beldock, P.C. has represented thousands of personal injury, birth injury, automobile accident and medical malpractice victims, obtaining many millions of dollars for our clients both in and out of court. Our team of seasoned attorneys with more than 100 years of combined experience makes these results possible. Everyone at our firm is dedicated to excellence and to responding personally to our clients’ needs. With a solid reputation in the legal community, Birbrower & Beldock, P.C. is the firm to choose when you can’t afford to lose in Rockland County, Westchester County, Orange County or anywhere in New York State. We are known for our experience with serious injury cases. Whether you or a loved one suffers due to a slip and fall accident, car accident or medical malpractice, we can provide the legal guidance you need to navigate and succeed in the legal system. Our attorneys have a thorough understanding of construction law and related cases, and we are passionate about helping New Yorkers obtain compensation for these and other types of personal injuries. We treat every client with respect, courtesy and dignity, yet we are also aggressive litigators who know how to fight and win in court. Whether your injury occurred in New City, Yonkers, White Plains, anywhere in the Hudson Valley or the five boroughs of New York City, when we represent you, our goal is to handle all the legalities of getting you compensated while you focus on recovering. We understand how important this case is to your future, and we are available to you 24 hours a day, seven days a week. Birbrower & Beldock, P.C. offers a free initial consultation and operates on a contingency fee basis, which means our services cost you nothing unless your claim is successful.